The headboards are attached with bed hooks, so that the bed can be placed in either orientation depending on setting of room. 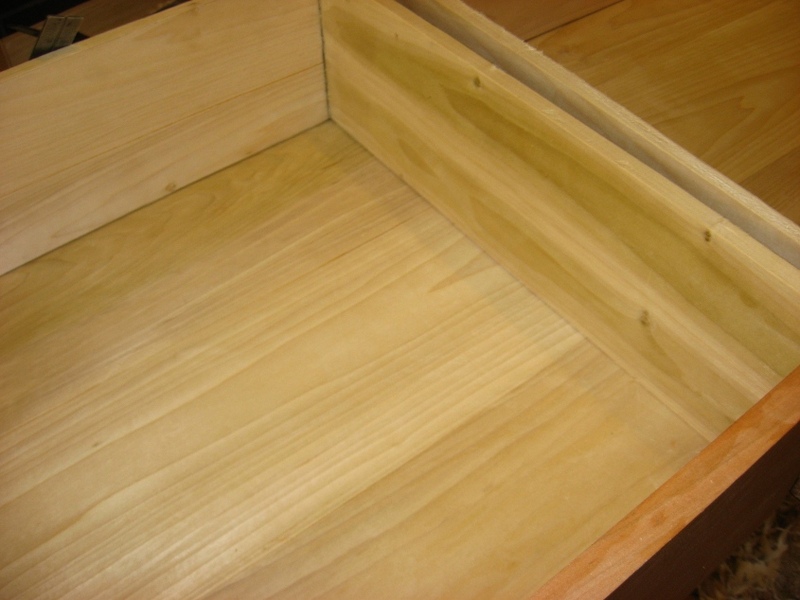 I did not take any pictures of the draw construction since it is pretty standard dovetail solid wood drawer. 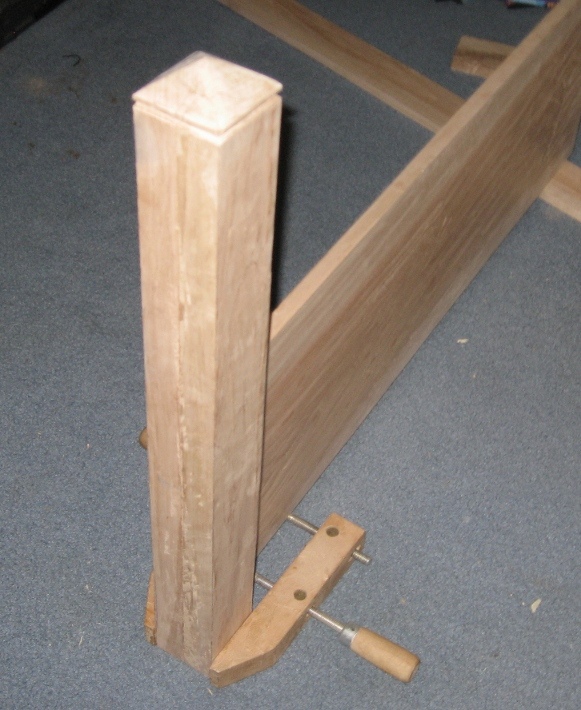 The Head posts are about 3 inches by 3 inches thick, so as not to look too out of proportion to overall bed size. 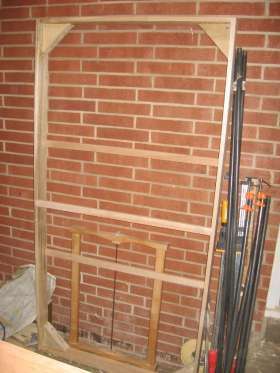 The fiting of these was alot of trial and error to get them exactly fit for the hooks to slide smoothly into the slots on the end frame. Also both sides need to be identical so that the headboard and foot board can be interchanged. The Pedistal that the bed sits on is a basic dovetail frame with some cross memebers for support. I used carrage bolts in the corners of the bed to hook the padistal to the bottom of the bed. 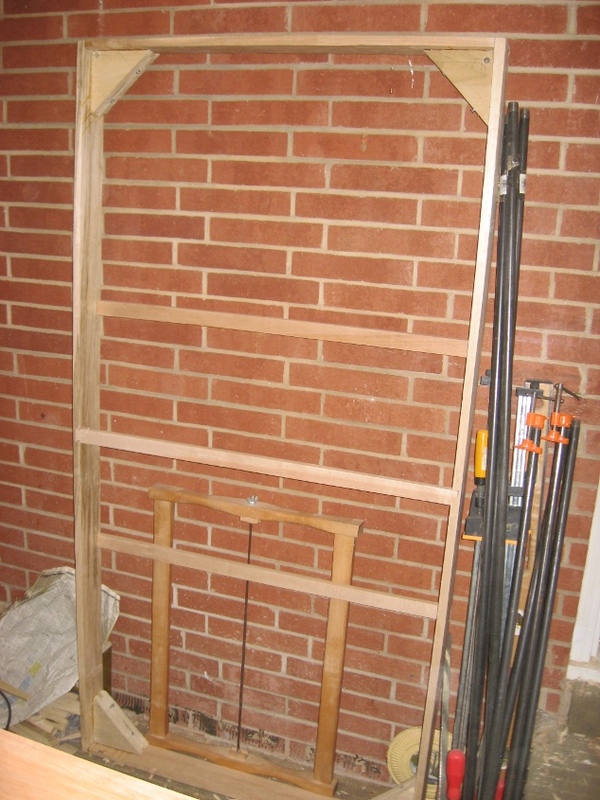 This allows it to be detached for moving, but can be moved around the room without problems. 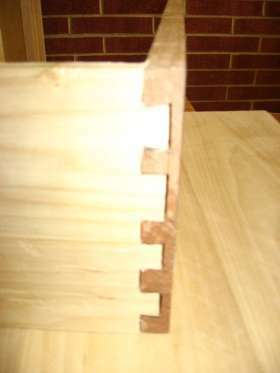 Side of drawer showing dovetail. 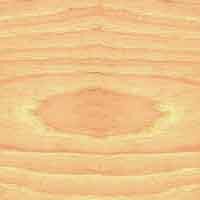 I did not get them as evenly spaced as I would have liked. But they work. 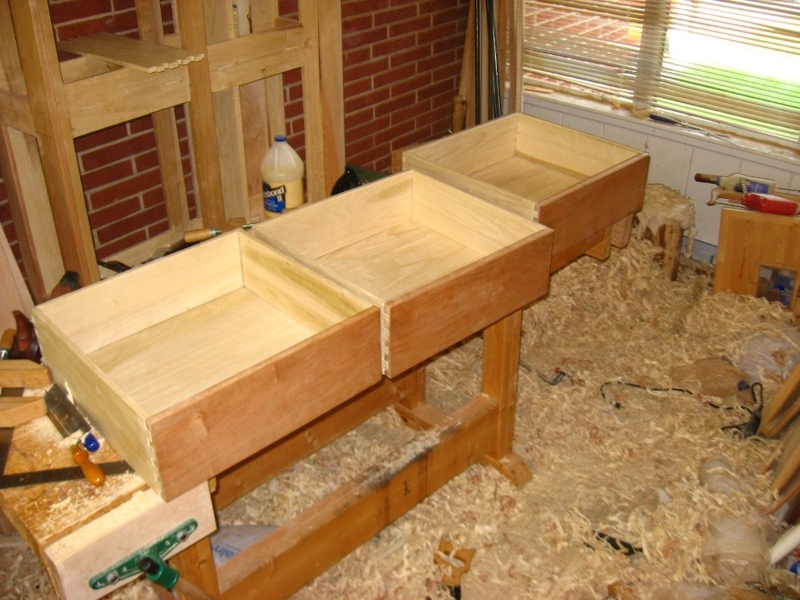 All three drawer ready to be glued up. Test piece for headboard posts. Closeup of top of post. 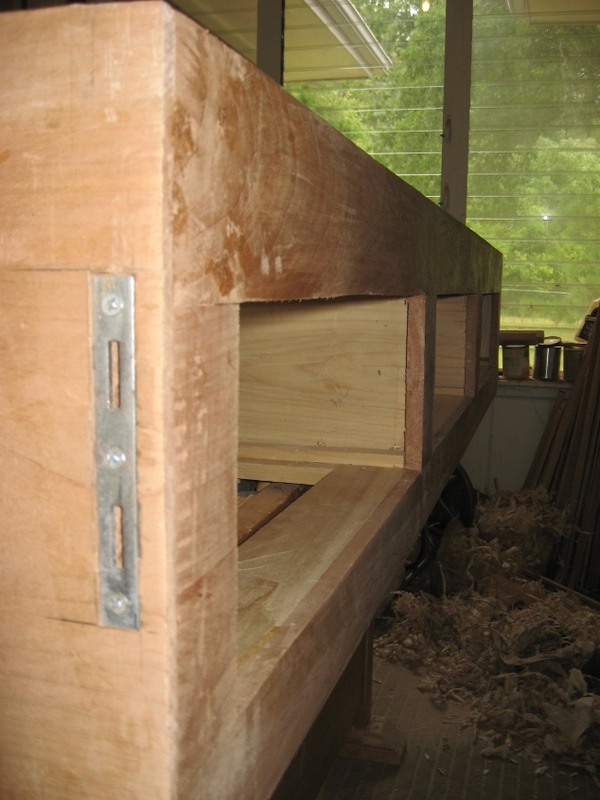 Headboard side hooked to headboard center. A look down the draw side. 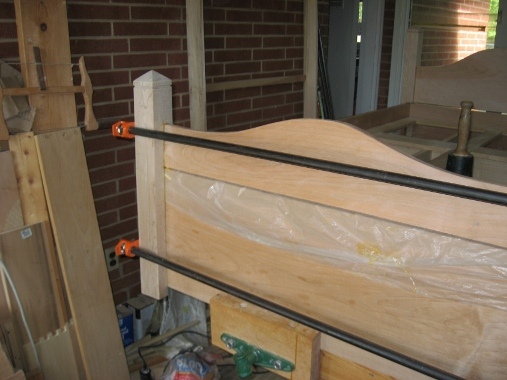 Here you can see the bed hooks which hold the headboard on. 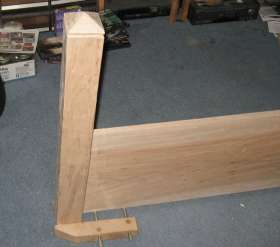 This is the pedastal that the bed sits on. It raises it up about 2 inches, to provide a kick plate. 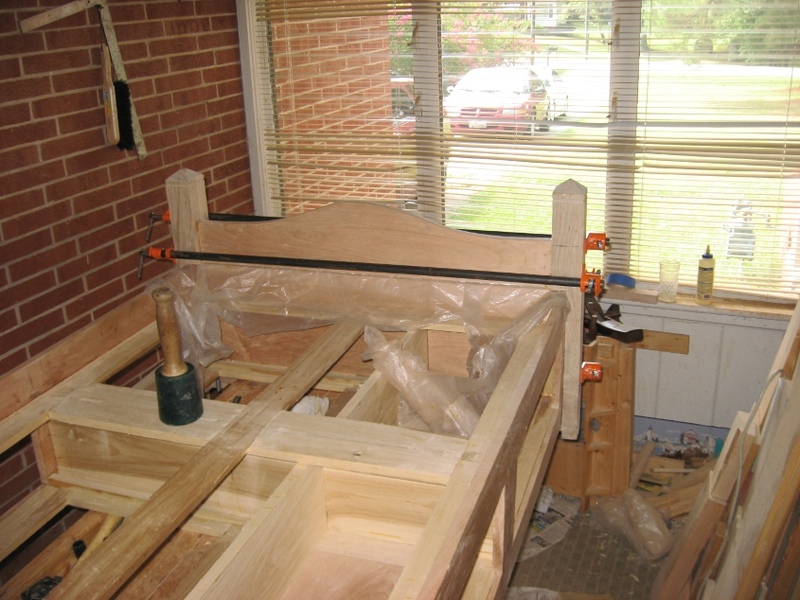 Glue up of the headboards. 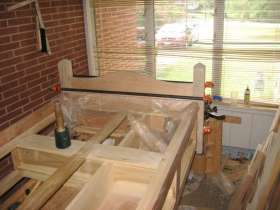 Each end of the bed has to be exactly the same width across, otherwise the headboards will not be interchangable. 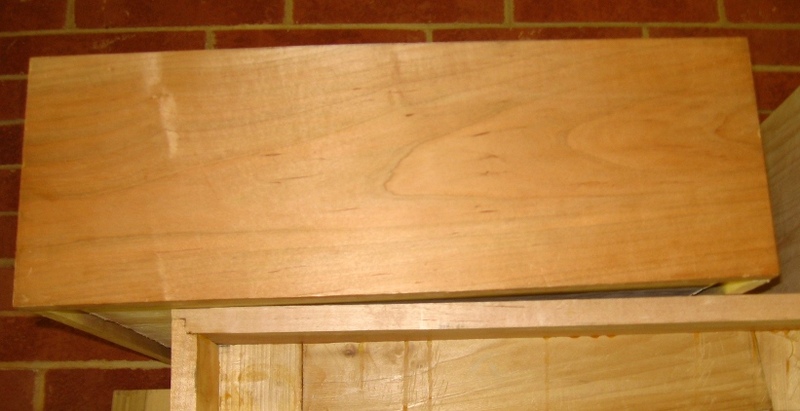 This took a lot of time with a shoulder plane, to get both exactly same. 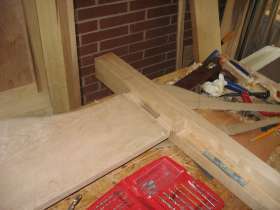 During glueup, the peices were glued and hooked into hooks, and then clamped into place. 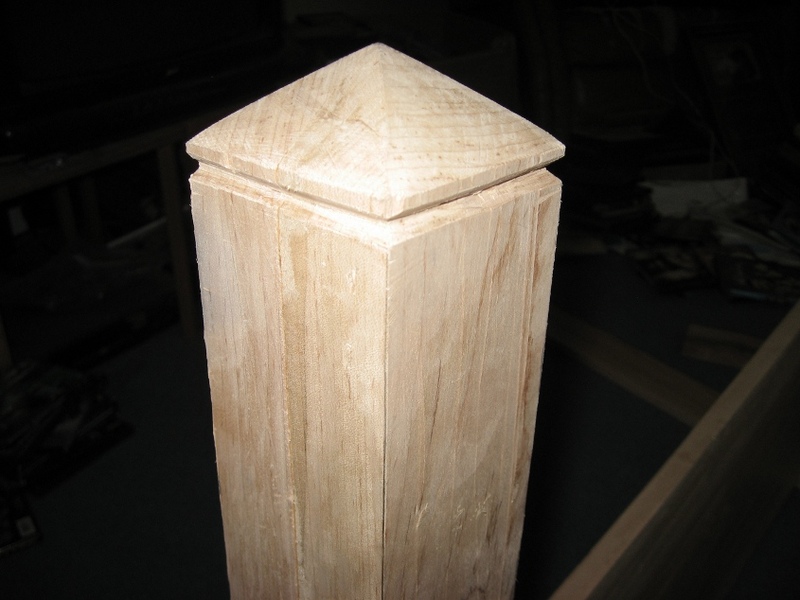 This makes sure that everything is properly aligned.